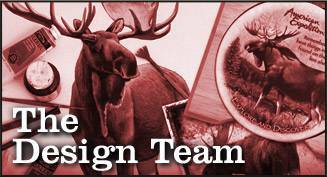 Ideaman, Incorporated is the company that creates and distributes the American Expedition brand of wildlife gifts and decor, as well as ClassicMagnets.com. In 2009, we began the process of expanding our brand into a website community where outdoor enthusiasts and wildlife lovers could share their experiences, learn about wildlife, and find high-quality wildlife-themed gifts and decor. While this has been an ongoing challenge, it has been a labor of love shared among a great group of talented and enthusiastic individuals. Click on the links below to meet the staff members who work behind the scenes to make all this possible. Ted started Ideaman, Inc. with his wife, Wendi, in September of 1992 in the basement of their home. 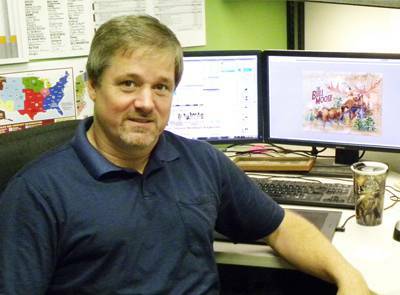 Ted is very involved in the day-to-day design development and brand management of American Expedition, as well as overseeing the operations of his souvenir magnet division that is still going strong. In his limited spare time, Ted is an avid backyard gardener and recreational rock drummer. Wendi has been working both behind the scenes and in the trenches from the very start of Ideaman, Inc. She currently oversees all of the American Expedition website customer service and order management, as well as putting out the various fires that flare up in the office. Wendi manages to handle these challenges while also raising her and Ted’s four children... AND moonlighting as a rock-n-roll bass player and vocalist. 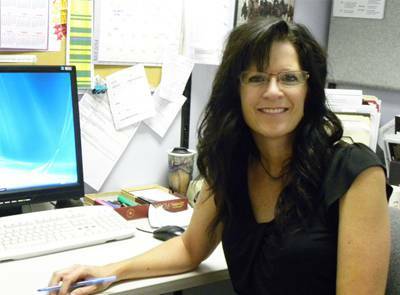 Andrea has been a sales and customer service rep for Ideaman, Inc. for many years. 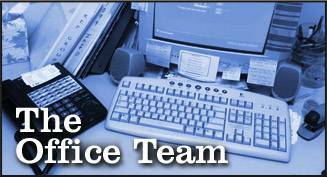 She specializes in troubleshooting web order issues and handling returns and replacements, but she is also available for any other type of help that is needed. When she’s not at work, Andrea has her hands full raising a new bouncing baby boy with her husband, Eric. Jennifer is the heart and soul of the front office, handling most of the day-to-day operational issues as well as processing all of the bills and invoices that come through the company. 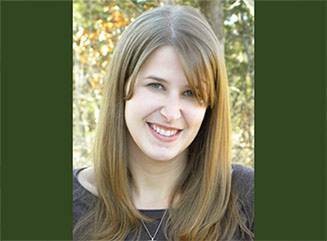 When she isn’t balancing books, Jennifer likes to spend time in the garden, hiking, and listening to bluegrass music. And, when the opportunity presents itself, she loves to line up and do some contra dancing! As Creative Manager, Rick oversees all of the product development and marketing for the American Expedition brand, as well as creating and refining formats and individual product designs. When not in front of his computer design station, Rick likes to his spend time with his wife Scarlett at their home “out in the woods” with their three children. Despite his success in the design field, he continues to fail at giving up coffee. Doug’s dynamic illustrations make up the heart of every American Expedition brand product. 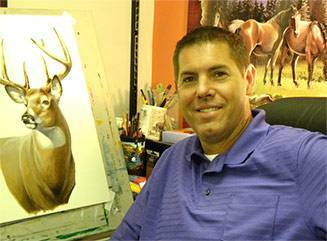 He works primarily in acrylics, but has a mastery of many mediums, including watercolor, pencils, pen & ink, and pastels. When he isn’t painting, Doug likes to spend time in the great outdoors with his wife, Laurie, and their two beautiful daughters. Doug also enjoys a good round of golf... although he doesn’t have as many good rounds as he’d like! Matt’s expertise has been instrumental in creating a first-class website that seemlessly combines an effective online retail store with a compelling “wildlife experience” community. In his spare time, Matt enjoys photography and taking trips to great outdoor destinations found throughout America. He also enjoys calligraphy, listening to live music, and hanging out with his cat, Mr. Fuzzy Buttons. Zach's main role is to ensure that our message reaches the customer. 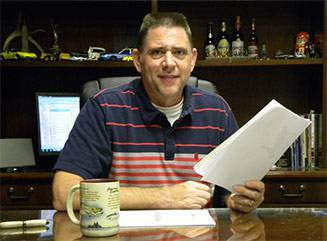 He's a sort of jack-of-all-trades working on our search engine optimization, emails, social media, advertising, inventory management, website development, blog content, graphic design and more. Outside of work, he usually has his nose in a book or testing out a new craft brewery. 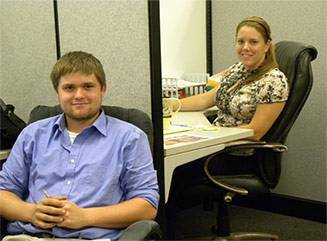 We have had the good fortune of employing very talented and ambitious interns to help us with our website and social media needs. These college students are amazingly self-motivated and have taken ownership and pride in the goal of creating a dynamic, compelling destination website. However, they do not fetch us coffee or pick up our dry cleaning! 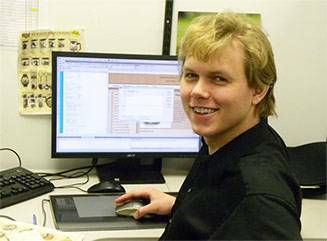 Joe has been manging the production side of things from the very early days of Ideaman, Inc. 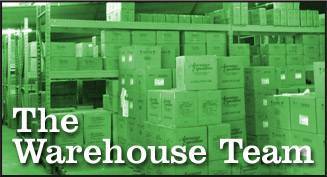 He coordinates all the storage and logistics for the vast inventory of products that American Expedition sources. He also oversees all of the employees in the plant. In his spare time, Joe is the model outdoor sportsman; spending time with his granddaughter fishing, hunting, and tending to his horses. He also is an amatuer wine-maker. 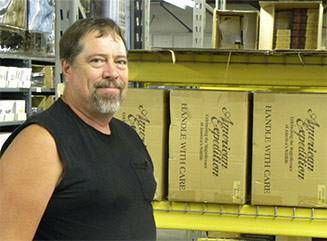 Carolena is the primary order assembler for the American Expedition wholesale division. She manages the inspection department and keeps the assembly area under control. When she’s not inspecting wildlife gifts, Carolena likes to do yoga, enjoys bird watching, spending time with her family, watching movies, and fishing. Amber has been with Ideaman, Inc. since 2001, working in several different departments over the years. These days she spends the majority of her time in the shipping department. 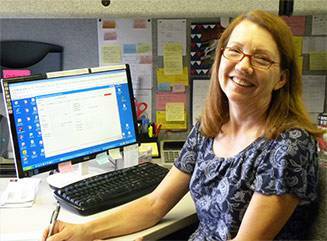 She pulls and packs shipments and runs the shipping software like a pro. 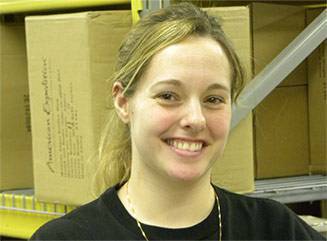 Christina works primarily in the shipping department, but she also pulls and inspects American Expedition orders. In her spare time, Christina enjoys spending time with her family. She also likes camping, fishing, taking float trips, swimming, or just curling up on the couch to watch a good movie.